Description A groundbreaking investigation you've never tasted before! 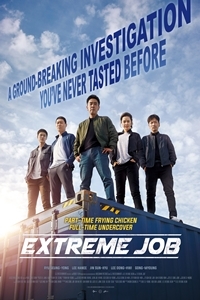 A team of narcotics detectives goes undercover in a fried chicken joint to stake out an organized crime gang. But things take an unexpected turn when the detectives' chicken recipe suddenly transforms the rundown restaurant into the hottest eatery in town.